Bali is so much more than yoga and cocktails on Kuta Beach. Check out 10 of the best things to do in Bali, Indonesia’s ‘Island of the Gods’. Gunung Kawi is an 11th-century temple and funerary complex centered around a series of royal tombs carved into stone cliffs in central Bali. One of the island’s oldest and largest ancient monuments, Gunung Kawi features 10 candi (shrines) which have been cut into the cliff face, each sheltered within a seven-metre-high niche. These memorials are thought to honour either King Udayana or Anak Wungsu and their queens, but little is known for certain. Don the obligatory sarong and descend into the valley to wander between the ancient monuments, fountains, temples and streams of Gunung Kawi. The Ubud Monkey Forest is located within the village of Padangtegal. The forest is home to more than 700 Balinese long-tailed macaques and three Hindu temples dating back to the 14th century. As well as being a major tourist attraction, the forest is also an important spiritual, educational and conservation centre for the village and its residents. The sanctuary promotes the concept of Tri Hita Karana, or achieving wellbeing through harmonious relationships with the environment, God, and fellow humans. 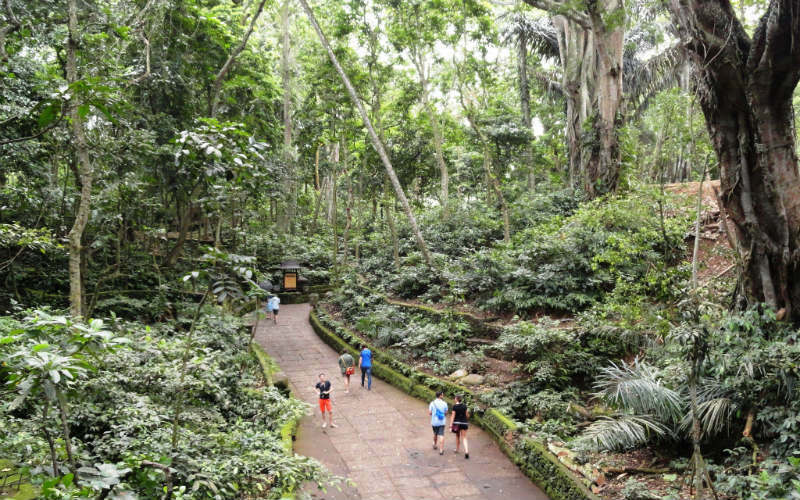 Visitors can buy some bananas to feed the monkeys, or simply find inner peace while wandering through the 12.5 hectares of lush forest. Sacred Monkey Forest Sanctuary, Bali, Indonesia. Image Credit: Fabio Achilli / CC by 2.0. Voted Asia’s best waterpark in 2017, Waterbom Bali features 20 thrilling water rides spread across almost 4 hectares of landscaped tropical parklands. The park is popular with visitors of all ages, with all rides sorted into ‘mellow’, ‘moderate’ and ‘extreme’ categories. Snake through the entire park on The Python water slide, shoot down eight storeys at 70 km/hr on the stomach-plummeting Smashdown 2.0, or kick back and relax with a leisurely float down the Lazy River. With onsite cafes, restaurants, and even a swim-up cocktail bar, Waterbom Bali is the perfect way to enjoy the tropical climate of Bali. 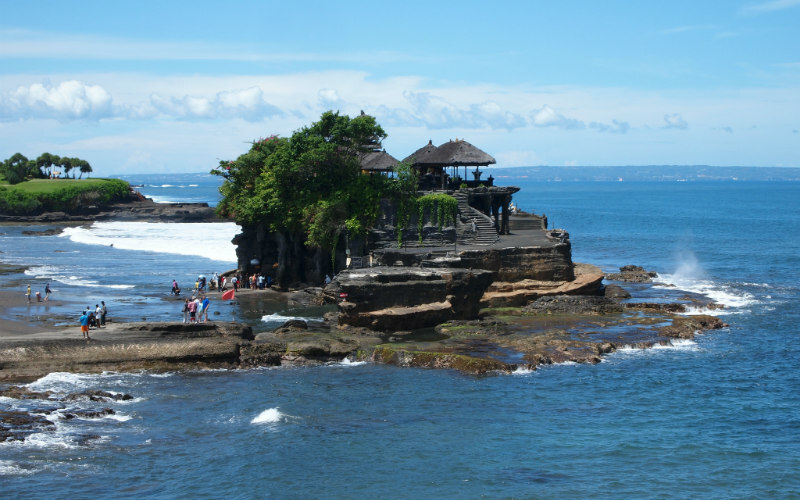 Meaning “Land [in the] Sea”, Tanah Lot is a small rock formation which juts off the coast roughly an hour north of Kuta. Under the advice of revered Majapahit priest Danghyang Nirartha, a shrine was built atop this rock to honour the Balinese sea god, Dewa Baruna. Although you can reach the temple on foot at low tide, it’s easier to simply follow the walkway from the parking area down to the sea. Sunsets here are famously scenic, however, as the most visited and photographed temple in Bali, you might want to visit outside the tourist rush. Tanah Lot Temple, Bali, Indonesia. Image Credit: William / CC by 2.0. Tirta Gangga is a former royal palace located about 75 km east of Denpasar. The complex is most famous for its water palace – an enchanting maze of pools, statues, bridges, ponds and beautifully manicured gardens. Perched on the slopes of Gunung Agung, Tirta Gangga was almost completely destroyed when the volcano erupted in 1963. The palace has since been restored to its former glory, complete with stone carvings, statues, and a magnificent, eleven-tiered fountain standing tall in the middle of it all. With stepping stones, koi fish and tropical plants set against a stunning backdrop of rice paddies, Tirta Gangga is a must-see for anyone venturing into the eastern highlands of Bali. The tiered rice terraces covering the verdant hills of Ubud are one of Bali’s most iconic landscapes. Located about a 25-minute drive from the heart of Ubud, Tegalalang Rice Terrace attracts hordes of tourists who are drawn here by the area’s fantastic photo opportunities. Visit Tegalalang Rice Terrace in the early morning to enjoy pleasant temperatures, fewer tourists, and magical lighting. Photograph the patchwork of green terraces from above, or trek down along the terraces to find small cafes and stalls selling cold drinks, food, and ice-cream. Tegalaland Rice Terrace, Bali, Indonesia. Image Credit: Joan Campderrós-i-Canas / CC by 2.0. The warm waters surrounding Bali are home to an amazing diversity of fish and coral species, making it a fantastic destination for snorkellers and scuba divers. The best dive sites for beginners can be found near Amed, Padangbai and Pulau Menjangan, while advanced divers should check out the drift dives around Nusa Penida, Nusa Lembongan and Candidasa. The coastline between Padangbai and Amed also offers excellent snorkelling, with visibility ranging from 10 to 50 metres. Explore the shipwreck of the USAT Liberty, and get up close with manta rays, turtles, sharks, and the great Mola Mola – the heaviest bony fish in the world. Although better known for its beaches and rice terraces, Bali also boasts an astounding number and variety of waterfalls. 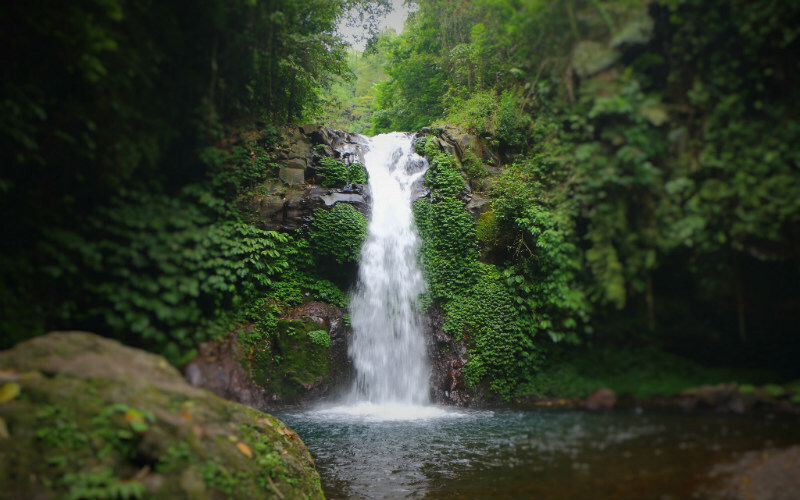 Perhaps the island’s most popular waterfall, Gitgit Waterfall sits at the end of a boardwalk which passes through the rainforest, over a small gorge and past several cool streams. Not far from here, Sekumpul hides a cluster of seven narrow cascades deep within its lush bamboo forest. On the southern side of Bali, Tegenungan Waterfall is a popular swimming spot located just a short, scenic drive away from Ubud. There are plenty more waterfalls to explore all over Bali, with many of these enticing visitors to swim in their natural rock pools below. Gitgit Waterfalls, Bali, Indonesia. Image Credit: Juan Antonio Segal / CC by 2.0. 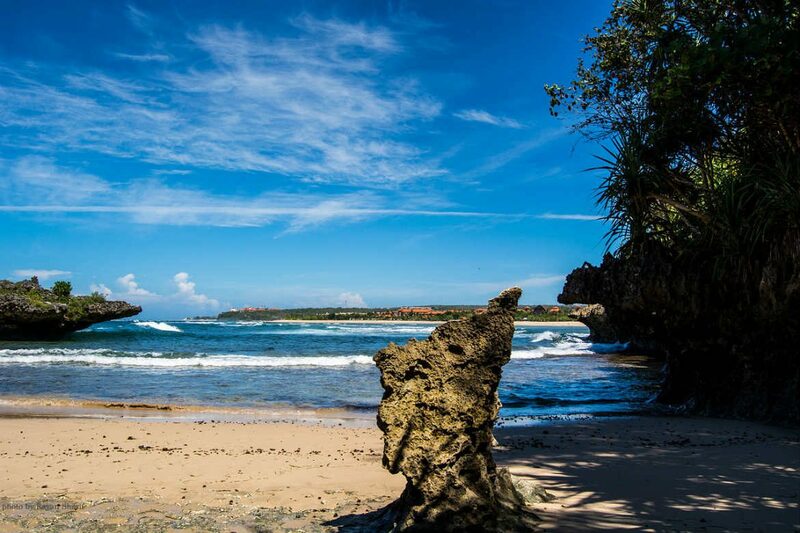 A recent addition to Bali’s thriving tourism scene are private tours run by local drivers and guides. These popular, fully customisable adventures offer an affordable way to explore everything Bali has to offer. As well as tours of major landmarks and attractions, many drivers also offer personalised experiences that can include everything from volcano trekking and quad biking to elephant riding and white water rafting. With so many action-packed itineraries to choose from, and so much knowledge to be gained from each local guide, these private tours are easily one of the best ways to explore Bali. 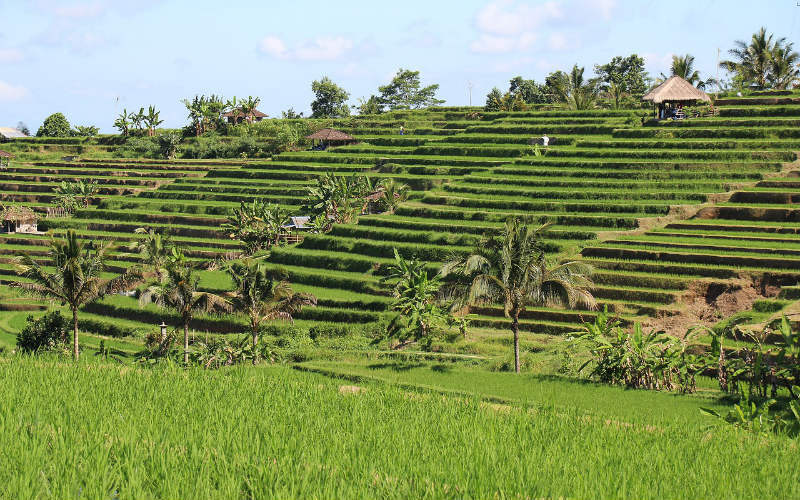 Located in Tabanan, about 700 metres above sea level, is perhaps the largest and most picturesque expanse of rice paddies in Bali. Jatiluwih Green Land encompasses more than 600 hectares of terraces which follow the undulating contours of the Batukaru mountain range. 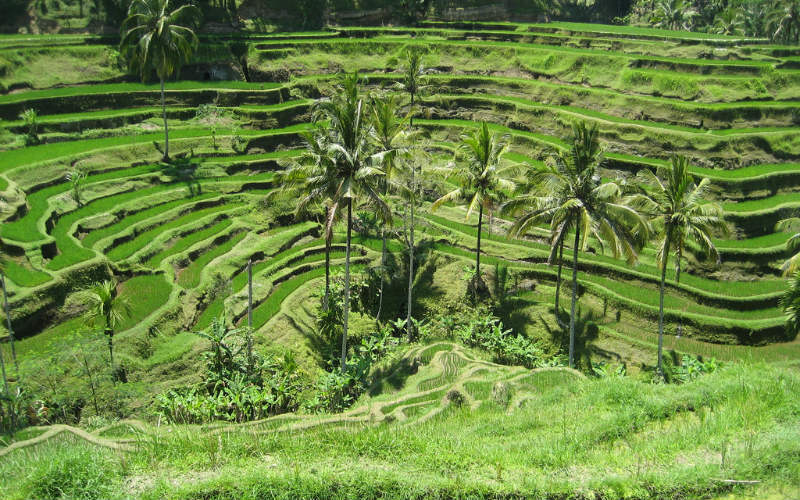 These terraces still use a traditional Balinese irrigation system called subak. The serene atmosphere and incredible scenery here make Jatiluwih an irresistible destination for many photographers and hikers. Enjoy panoramic views along with a meal at a local restaurant, or hire a bicycle and spend the day gliding through the magical scenery of Jatiluwih Green Land. Jatiluwih Rice Terraces, Bali, Indonesia. Ready to enjoy your own Balinese escape? Find and book cheap flights to Bali, great hotels and more with Webjet today! Feature Image Credit: Rayansharif / CC by SA 3.0.